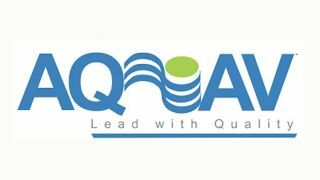 Audio Visual Resources (AVR), a longtime sponsor of AQAV, is looking to sponsor two women in the AV industry, one to attend the Certified Quality Designer-AV (CQD) and one to attend the Certified Quality Technician-AV (CQT). The courses will be held on the days leading up to InfoComm 2017, on Saturday, Sunday, and Monday, June 10–12 at Pro Sound and Video in Orlando, FL from 8:00 a.m. to 5:00 p.m. each day. Continental breakfast and lunch are included in the program. AVR will pay the tuition for two classes (each a $1,900 value), which includes membership in AQAV. However, if the candidate wants to certify (which is not necessary), there is a $250 certification fee that the candidate would have to pay. It is suggested that each candidate have CTS or at least four years’ experience in design (for the CQD) or installation (for the CQT), in order to have the schema and the vocabulary that is used in the class. CQD candidates demonstrate that the individual possesses the basic knowledge and skills for monitoring and measuring quality while the AV system is designed and developed (contract review, design review, engineering review milestones), that they can themselves create an EDID plan, and that they have a basic understanding of quality principles and preparing an AV audit. In the end, they can use the checklists, manufacturer’s manuals, and the mathematical tools they are given to properly review a design. CQT candidates demonstrate that the individual possesses the basic knowledge and skills for monitoring and measuring quality while the AV system is designed and developed (site ready, staging, commissioning, and acceptance milestones), that they can set an audio system's gain structure, and that they have a basic understanding of quality principles and preparing an AV audit. In the end, they can apply the checklists and test instrumentation on a system and verify conformance of an AV system in product, practices and performance. • Submit an essay (150 words or less) stating why you would be a good candidate for this quality assurance training. Applications must be received by Wednesday, May 17, 2017, and may be submitted to Lorrie Morrow at lmorrow@avres.com, with a subject line of “AVR Women’s Scholarship.” Recipients will be selected on May 19, 2017.